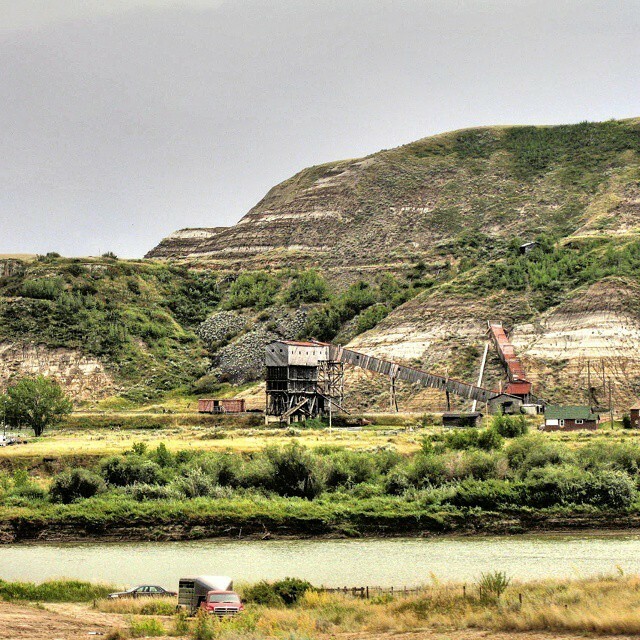 The Quaternary Palaeontology program at the Royal Alberta Museum (RAM) works with stakeholders in the sand & gravel industry to recover and preserve the Ice Age fossil record of the province. As the source of thousands of the fossil specimens housed in our collections, the sand & gravel industry provides the basis for significant scientific collections, research, outreach, and exhibits. The working relationship of the RAM and the sand & gravel industry originates in the late 1980s and 1990s, when museum staff began active efforts to engage companies and their staff, most notably in gravel pits in the Edmonton area. Those efforts manifested in a number of formal (e.g., regulatory processes) and less formal ways (highlighted here), all with the intent of maximizing the recovery of fossil remains while minimizing impacts to industry. 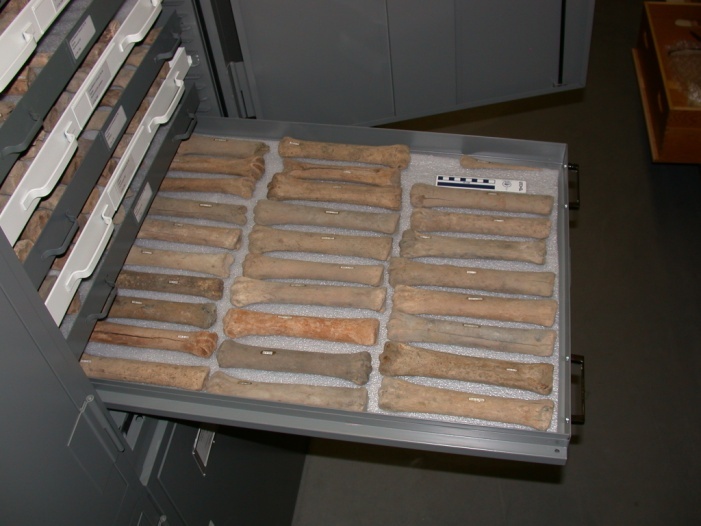 Ice Age horse metapodials (foot bones) from Edmonton-area gravel pits. These are in the collections at the Royal Alberta Museum. 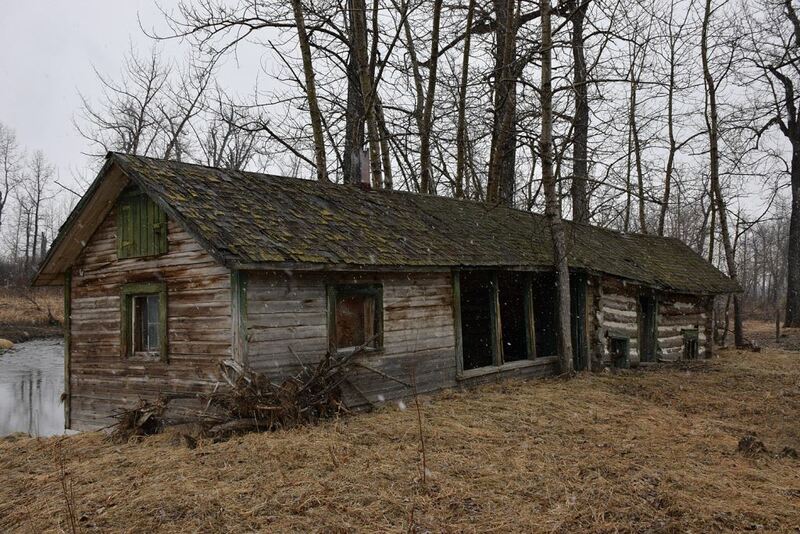 In a remote corner of north east Edmonton, bounded by Clareview Road and 129th Avenue, is a small unmarked parcel of land commanding a dramatic view of the North Saskatchewan River valley. Only faint ground depressions and a small interpretive marker betray the fact that this is the location of Canon William Newton’s Hermitage and the birthplace of the Anglican Church in what would become the Province of Alberta. 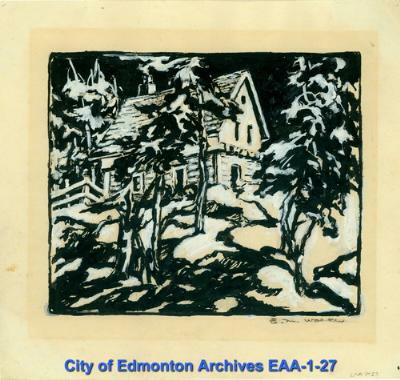 “The Hermitage” by Ella May Walker, City of Edmonton Archives, EAA-1-27. The Alberta Museums Assocation, founded in 1971, is a non-profit society whose mission is to lead, facilitate, and support museums in their vital role with communities. The Museums Association now has more than 200 Institutional and 250 Individual Members among its membership. 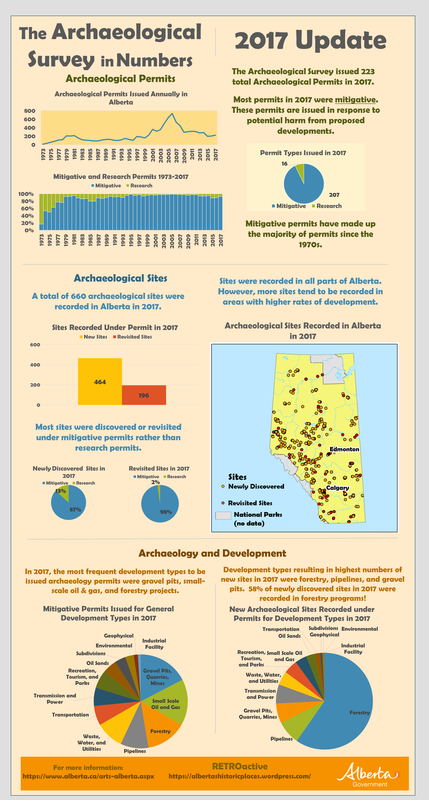 The Association is one of five provincial heritage organizations that receive annual funding from the Alberta Historical Resources Foundation. May 18th is International Museums Day, a day to raise awareness of the importance of museums. Be sure to visit one of your local Alberta museums to celebrate! Administration of the Recognized Museum Program to help museums fulfill their public trust responsibilities and ensure their succession for the future. The Archaeological Survey in Numbers – 2017 Update! This week’s post is an update on archaeological project and site data for 2017 from the Archaeological Survey. Click the image below and zoom to see the full size infographic. Note on archaeological sites: the site counts for 2017 are not yet final. They are constantly being updated as consultants and researchers submit their records to the Archaeological Survey. Stay tuned to RETROactive for up-to-date numbers. During the past few weeks, areas of southern Alberta have been affected by overland flooding, and this week warnings were issued for areas in northern Alberta (https://www.alberta.ca/emergency.aspx). Floods can affect historic resources such as historic buildings, museum collections and archaeological sites. The June 2013 flood is an example of a flood event that had a large impact on historic resources, causing damage to some historic sites and buildings and exposing or washing away archaeological sites. Flood damage from the June 2013 flood to the chicken coop at E.P. Ranch, photo taken April 2014.